IMPORTANT EMAIL ON PARKING, TIME CHANGES and NEW START FINISH FOR BB50 DUE TO ROAD DAMAGE BELOW! The Start/Finish will be at the Elm Lake Pavilion. The park gate will stay open Sat at 4am for all runners. The loop cutoff is 5pm. You cannot start another loop after 5pm on race day. The cutoff for the event is 9:30pm for ALL distances. We will have a sweeper on the course and you will be ruled a DNF at 9:30pm. There are no exceptions. 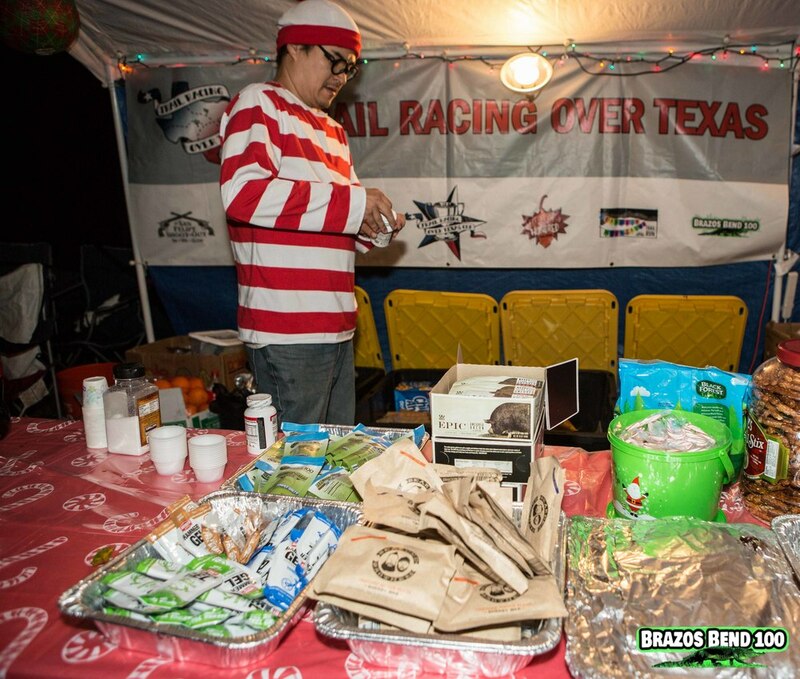 All aid stations (4) are FULL AID STATIONS and will be full stocked with Texas Style goodies. We have moved the last 3 races back in time due to the shuttling we will have to be doing in the park and outside of the park (Solution #3) on race morning. The 10k will have the extra distance from the start to the normal start, the 5k will add from the start to the normal start as well. All other distances will add .3 to the first aid station but will come off the last aid station as the start is closer to them. There are only 225 parking spots at the nature center and about 100 at the front of the park which is 325 parking spots. So lets get into what we will do to fix this. 1. Starting Friday after packet pickup you CANNOT car camp anywere in the park overnight without an assigned camping spot ie you have gotten camping (I have an alternative plan). You CANNOT leave a car in the nature center parking, or in 40 acre or anywhere else you dont have a spot through the park. 3. Sat am at 4am the gates will be unlocked. If you have 3 PEOPLE OR MORE they are going to send you to the normal front gate. If you have LESS than 3 ie 2 people or less they are going to send you to offsite parking (22620A FM 762 Road, Needville, TX) we currently have 4 business that are within 3 tenths of a mile that we are finalizing parking for. These lots once done will hold everyone we need. We will be running 4 passenger vans that can hold 15 people at time. 4. Once you come towards the gate the left 2 lanes lanes 1 and 2 will be for normal cars (3 is for our shuttle vans). You will pay and then be instructed to go towards nature center or towards parking by 40 acre. If parking by the start is full then the lots at 40 acre and overflow will have 2 shuttle vans that will take you to the start/finish area. 5. If you have 1-2 people they will instruct you towards our offsite parking where you will park your car and grab the shuttle in to the start finish. 6. We will have personnel at the off site parking the ENTIRE DAY for security and we will also have the shuttles running ALL DAY to get you back to your cars. So what can you do to help yourself get in the park on time and with plenty of time. START THINKING/PLANNING NOW ON WHAT YOU MIGHT DO! 1. Pick up your packet or packets thursday at memorial hermann or friday at the park. 2. Show up to the park 1 to 1.5 hours BEFORE your race starts. 3. Car pool 3+ people in a car means you will get to park near the start/finish or near the park entrance and be shuttled in. Talk to your friends, pack the car/van and all come together. 4. Have cash ready to pay in line. Its $7 per person at the gate and cash means they dont have to swipe cards. Crew is allowed at any aid station locations. You will need to either walk or mountain bike to the Sawmill and Windmill locations. 40 Acre Lake you can drive to. You can have a drop bag at all of the aid stations for the 50k, 50 mile and 100k distances. There will be drop bag locations marked at the Elm Lake Pavilion Friday night (3pm - 7pm) and Saturday morning (3am-5:30am). We will take them out to the course at 5:00am Saturday morning. We will return the drop bags by 9:30pm Saturday night as we break down the aid stations. Latitude (degrees, minutes, seconds) N: 29° 22' 15.16"
Longitude (degrees, minutes, seconds) W: 95° 37' 54.58"
The closest airport to this race is William P Hobby Airport. Volunteers have been a vital part of Brazos Bend State Park since its opening in 1984. The volunteers organized in 1989 by electing officers and accepting by-laws. We operate as an independent, nonprofit 501(c)(3) organization. The Brazos Bend volunteers have been recognized for the highest number of volunteer hours, 15,821, for any park in Texas. The volunteers have demonstrated teamwork and quality in support of Brazos Bend State Park. We are a diverse group of individuals with a common interest in nature and the environment. Our purpose is to assist and educate the visitors of Brazos Bend State Park through information and interpretive programs and to assist in the care and conservation of this 5,000-acre park. Medals for all 50 Miler, 50k, 25k, 10k and 5k Finishers. $2,000 to any male or female who resets the fastest 50mi time on 100% TRAIL in North America. To win the infamous boot mug you have to complete the Brazos Bend 50 miler and the Brazos Bend 100 miler in the same calendar year. The 50 miler is in April and the 100 Miler is in December. If you complete the BB 100k and the BB100 Miler in the same calendar year you will get a custom BB Double Buckle as well. The blue stars are the aid stations, and the blue star at the Nature Center is also the Start/Finish. All maps are incorrect as the Nature Center is the Start/Finish line. 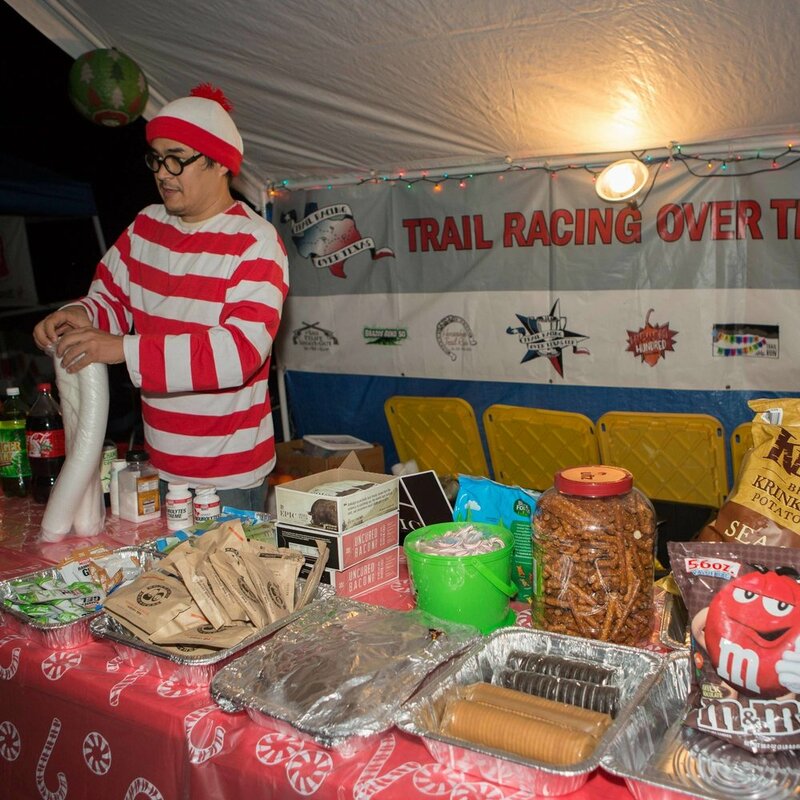 If you would like to volunteer please emails us at volunteer@trailracingovertexas.com and we will send you a schedule of shifts that can be worked as well as a description of the jobs and what they entail.